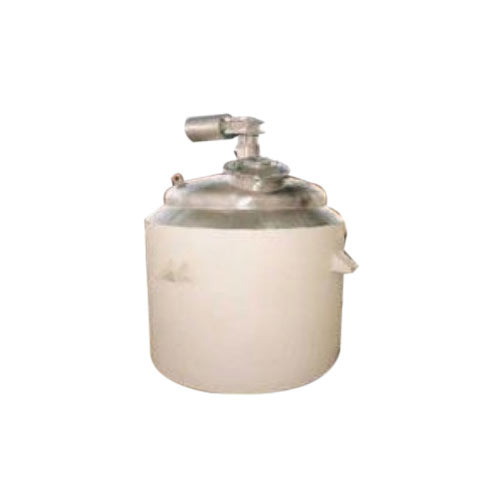 We have a wide variety of Jacketed Tank With Motor and Agitator to fulfill diversified requirements of the clients. These are user-friendly, specifically designed, durable and cost-effective products which are in huge demand in the market. The skilled professionals develop these products with the help of new technology and quality components. Besides, our clients can receive these products at smart market price. Bethel Equipments is based at Delhi is a trusted, leading and rapidly growing Manufacturer, Supplier and Trader of a wide spectrum of industrial products under the segmented categories such as Silo Feeding and Extraction Equipment, Conveying System, Tanks and Vessels, Vibro Equipments, Industrial Dampers, Belt Conveyor, Metal Structure, Industrial Mixer, Iron Closed Air Slide, Pipe Screw Feeder, Spiral Chute, Open Air Slide, Bulk Loading Spouts and Ash Conditioner. The whole range of products is developed using advanced technology and standard quality raw material to achieve high satisfaction of the clients. These products work on advanced technology to perform with energy efficiency, without pollution and dust. Our organization is in compliance with standard industrial practices set by the industry experts. At present, we are in alliance with large pool of satisfied clients who ask for our products without hesitation on quality, price and functionality.